For the fourth consecutive year, my wife and I have dealt with the bitter reality of a Midwestern winter by running from it, hiding in the dark to watch films deemed worthy by the Academy of Motion Picture Arts and Sciences. This time we set a new record, managing to see 17 films nominated in various categories. Impressive yet sad, is it not? And still, we could not bring ourselves to round out the acting awards by sitting through Into the Woods. Nevertheless, here is my ranking of this year’s crop. In a nutshell: The owner of a mountainside hotel recounts his adventures as apprentice to its most legendary concierge. Clever quirkiness can be an admirable attribute in measured doses; too much can get annoying quickly. Director Wes Anderson danced along this thin line without trespassing it in last year’s enjoyable Moonrise Kingdom. 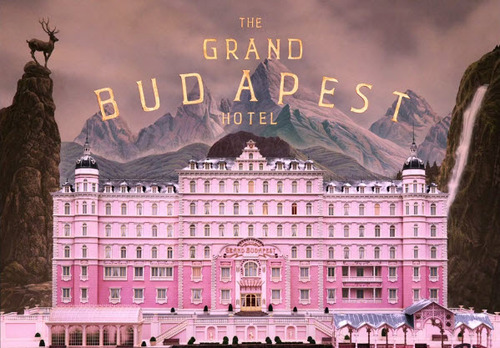 With The Grand Budapest Hotel, however, he loses his balance and plunges into a tiresome abyss of absurdity. This movie is so stylized that its form upends its narrative. Within half an hour, I had grown so weary of its relentless affectations that I ceased to care about the protaganists and everyone else. Several characters get punched in the nose; afterward, each sports identical twin rivulets of nostril blood. One hotel concierge after another relays the same information by telephone, each speaker highlighted by the circular frame of an exposure matte. One hooded monk after another asks the main character to verify his identity before instructing, “Follow me.” A contentious conversation aboard a train near the beginning of the movie is mirrored by a similar dustup toward the end. Supporting players incongrously pop out of windows and trapdoors to deliver their lines. Ha-ha. There just isn’t much here beyond the eye candy, and critics who have claimed the presence of substance and “darker themes” are apparently impressed by the oppressive fascist regime that makes life difficult for our Eastern European heroes whilst sporting flags with jagged symbols evocative of swastikas and SS isignia. The Grand Budapest Hotel is neither particularly meaningful nor especially funny, and unless you find yourself unconditionally charmed by offbeat quirkiness, it’s not even interesting. I attribute its Academy nod to voters worried that something frightfully clever has just sailed over their heads. Bottom line: Form without function. In a nutshell: Suspicions rise as a husband courts the media in a search for his missing wife. Full disclosure: I’m not a thriller fan, so it says a lot for Gone Girl that I found the majority of this film to be compellingly entertaining. Leads Ben Affleck and Rosamund Pike deftly keep viewers guessing as the plot evolves. Neil Patrick Harris is fun as a mysterious ex-boyfriend who may or may not pine for his lost love. Sela Ward parodies Nancy Grace as an unscrupulous cable news celebrity determined to milk the last drop from any scandal. And in the best performance of the lot, Tyler Perry shines as a hotshot defense lawyer who takes nothing seriously, not even the apparent guilt of his clients. 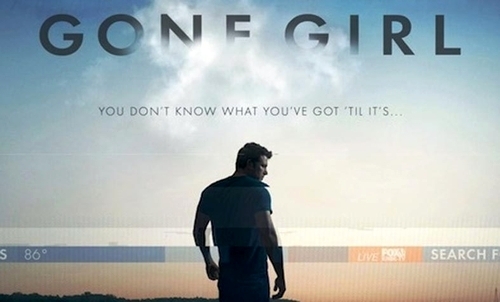 Yes, I was pleasantly amused by Gone Girl until its final quarter, when something ridiculous happens. Not that the movie is particularly plausible up to this point, but what begins as a fairly intelligent roller coaster ride veers off into over-the-top, Fatal Attraction, megaplex melodrama. Apparently this is by design, and supporters are justifying director David Fincher’s denouement as absurdist commentary. (I’ll have to remember that phrase if I ever have to defend some piece of crap I’ve made. “Oh, you didn’t get it? C’mon, it’s absurdist commentary, ya rube!”) Fair enough if Gone Girl adhered to that genre through and through, but it doesn’t. Good art finds resolution without abandoning its premise. Bottom line: A 75% smarter Fatal Attraction. 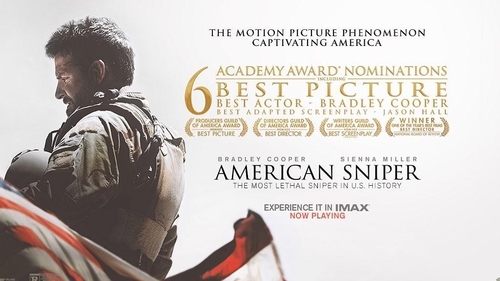 In a nutshell: The story of Chris Kyle, the US Navy SEAL sniper who recorded more kills over his four tours of Iraq than any other marksman in US military history. Sometimes the Academy allocates major award nominations in a manner that leaves me baffled, and such is the case with American Sniper. Competently directed by Clint Eastwood with an adequate leading performance from Bradley Cooper, this is a film that never transcends the conventions of its predecessors. Clichés abound, and subtlety is absent. If the theater’s sound system were to fail, anyone who has seen half a dozen generic war movies could improvise suitably interchangeable dialogue. It is not a bad film, but neither is it remarkable. Though American Sniper touches on the toll of PTSD on veterans and their families, it is hardly illuminating. Did you already know that military combatants often seem distant to loved ones upon their reassimilation to peaceful society? That they sometimes flinch at loud noises or stare vacantly into space? If so, then you won’t learn anything new about a soldier’s struggles from American Sniper. The real pity here is one of missed opportunity. Chris Kyle is reported to have told some tall tales in the aftermath of his service, the most outrageous of which was his claim that he had helped restore order in New Orleans after Hurricane Katrina by using a sniper rifle from the roof of the Superdome to kill looters. Now that sounds like an intriguing and heartbreaking consequence of PTSD. Unfortunately, it’s an astereotypical side of Chris Kyle that is left unexplored. The bottom line: If you can guess what happens next when a buddy of Kyle’s starts talking during battle about popping the question to his girl back home, you can skip American Sniper. In a nutshell: Richard Linklater’s 12-year cinematic experiment, a coming-of-age story filmed in real time. The good news about Boyhood is that I didn’t hate it, a significant evolution given my vitriolic reaction to Linklater’s beloved Before Midnight. In fact, I didn’t even dislike it! I’ll give much of the credit to charismatic Ellar Coltrane, whose acting seems as natural as his maturation from six to eighteen. Lorelei Linklater, the director’s daughter, also delivers a realistic performance as Coltrane’s sister. Supporting acting nominees Ethan Hawke and Patricia Arquette are solid, though a late monologue by Arquette veers into the sort of narcissistic self-pity that made Before Midnight insufferable. All told, it’s compelling viewing, but not extraordinarily so. I have to wonder if the film would have been much different had it been filmed conventionally, with multiple actors portraying the protagonist as he ages. 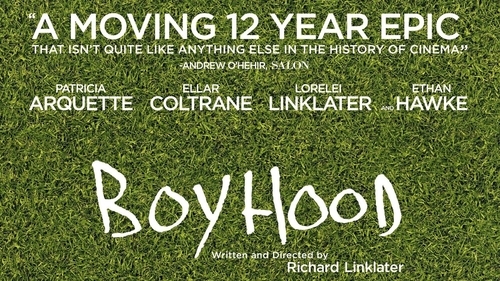 In fact, had I not known the well-publicized production story of Boyhood, I doubt I would have guessed. There’s a moment toward the end when Coltrane’s character wonders aloud about the meaning of everything that has occurred over the course of the narrative. “What’s the point?” he asks his father, who shrugs in response. We might ask the same of the script, though perhaps its ambiguity and that of life itself is Linklater’s point after all. In a nutshell: Wealthy John du Pont, birding enthusiast, gun collector, and heir to an industrial fortune, helps Team USA wrestlers train at his estate. The real John E. du Pont must have had a truly spectacular nose. 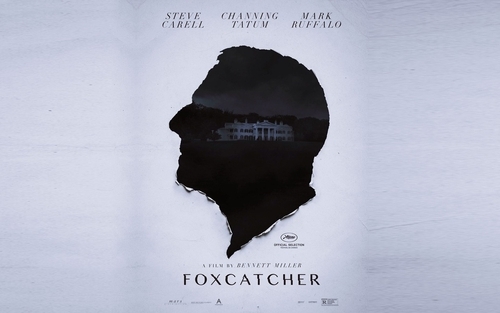 Because the first thing you’ll notice upon seeing Steve Carell is the prosthetic beak that makes his character look as avian as the birds he studies. Foxcatcher is nominated, among other things, for its makeup and hairstyling, so I’ll just take it for granted that the genuine du Pont schnozz looked as intrusive and ridiculous as this one appears. As they say, truth is stranger than fiction. Carell does a capable job portraying an entitled, enigmatic man of dubious intellect and sanity, but it is a peformance at once restrained yet lacking nuance. Perhaps, like the improbable proboscis, this was characteristic of du Pont as well. But it hardly puts Carell in league with his Best Actor Nominee colleagues. Then again, I’m not sure what Bradley Cooper is doing there, either. But I digress. Mark Ruffalo and Channing Tatum are more interesting as the wrestling brothers that du Pont takes under his wealthy wing. Tatum’s Mark Schultz is strategically talented and compulsively dedicated to his sport yet so simple that he takes meals alone while staring vacantly at nothing in particular. Ruffalo’s older brother, Dave, the brains of the outfit, tries to balance ambition and opportunity with loyalty to his family. When the story turns tragic, as it bizarrely did in real life, it is the dynamic of Ruffalo and Tatum that is cast into somber relief. Bottom line: I don’t think you’ll be seeing du Pont sponsoring any ad slots when this one reaches AMC. In a nutshell: A hotshot lawyer returns to his backwater hometown and reckons with his aging and distant father, an honorable judge turned defendant. It’s smart of a movie to lower our expectations. As The Judge opens, we see Robert Downey Jr. standing before a urinal as another lawyer expresses outrage at his tactics. Downey turns mid-stream, nonchalantly splashing the irate man’s shoes. Oh boy, we think, it’s that kind of movie. Yet it’s not. 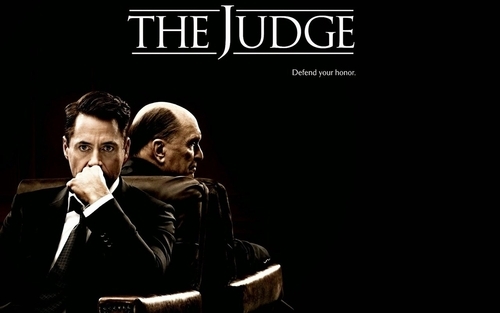 Despite the broad brush it uses so that we’ll understand Downey is a jerk but it probably has something to do with his father, The Judge is a showcase of fine ensemble acting from its entire cast. Most notable is Robert Duvall as the title character. Duvall is given the somewhat thankless assignment of Crusty Old Father Who Was So Strict With His Son Only Because He Truly Loved Him, but he rises above potential melodrama to give a fully rounded character. Other elements that would typically wander toward predictable ends in a lesser film do not; Downey’s older brother had to abandon a promising baseball career and his younger brother exhibits mental impairment, but these traits are facets of complex characters rather than mere hinges for plot points. Even Downey’s daughter, delightfully portrayed by young Emma Tremblay, is a character of recognizable depth despite having little screen time. Perhaps this slight-of-hand is best embodied by Billy Bob Thornton, who portrays the attorney who prosecutes Duvall. What sort of performance might you expect? You get it. But, like the rest of The Judge, you’re also given something more. Bottom line: Judge not, lest ye avoid a movie with more substance than it superficially suggests. In a nutshell: The true story of Cheryl Strayed, who embarked on a hiking journey of more than a thousand miles in the wake of personal loss and addiction. Laura Dern is fantastic in Wild as the mother mourned by Cheryl Strayed. She appears in flashbacks as an unequivocally loving presence, her smile radiant regardless of her circumstances. No longer burdened by an abusive relationship, she plunges into adult learning with the enthusiasm of a young schoolgirl, and though her means remain limited, her horizons are ever-expanding. Even a terminal illness cannot diminish her spirit. She adores her children to the end. It’s a specter that haunts Reese Witherspoon’s Cheryl as she seeks her mother’s tranquility while backpacking along the Pacific Crest Trail. Devastated by being orphaned at 22, she retreated into thoughtless promiscuity and a heroin habit. Conquering the trail is her opportunity to accept the unchangeable before she is destroyed by it. Though Wild is a journey of redemption, it is both matter-of-fact and utterly devoid of judgment. Witherspoon earns our empathy and respect simply as a flawed human being seeking to get better. Along the way, as in real life, we experience moments of introspection, drama, wonder and humor (including a wonderful spontaneous interview for a publication called Hobo News). Director Jean-Marc Vallée holds it all together without resorting to sentimentality. Bottom line: Worth the trip. In a nutshell: Alan Turing, the nascent father of modern computer science, helps British intelligence unlock the Nazi Enigma code while hiding a secret of his own. The story told in The Imitation Game is amazing and infuriating. That a group of amateur cryptanalysts changed the course of World War II by inventing a primitive computer is incredible. That the man who designed the machine should be unjustifiably humiliated is unforgivable. It makes for a riveting movie full of solid performances, yet the plot is greater than the vehicle that delivers it. Tell a great story in a relatively straightforward manner, and you’ll have a worthwhile film. But I wish The Imitation Game would have aimed higher. That’s no fault of Benedict Cumberbatch, who remains unfailingly engaging in whatever role he tackles. His Turing is a somewhat more socially palatable Sherlock, though his difficulty getting along with others threatens the whole enterprise. Kudos to Alex Lawther, whose sensitive portrayal of Turing at a younger age creates the emotional tension that Cumberbatch gets to resolve. How much richer The Imitation Game might have been with some inventive cinematography or a deeper exploration of Turing’s torment. A great story doesn’t need such things, but a great film does. Bottom line: See it. Get outraged. Tell the British government to stuff their apologies. 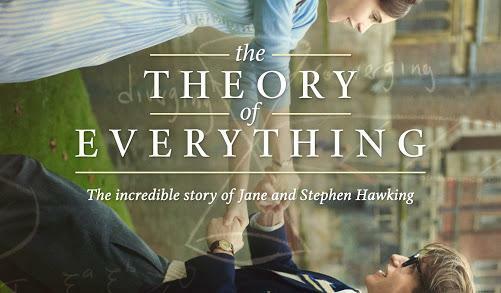 In a nutshell: The evolving love story of Jane Wilde and Stephen Hawking, from their courtship at Cambridge through Hawking’s recognition as a world-renowned astrophysicist. Another true story of an eccentric British genius? We happened to see The Theory of Everything and The Imitation Game consecutively, and as a result we sometimes forgot which detail came from which movie. That’s funny, because otherwise the plotlines are as different as can be, and it’s The Theory of Everything that is a notch greater in artistry. Cynical Academy Awards watchers will roll their eyes and loudly predict that Eddie Redmayne is a lock for Best Actor because he portrays a progressively physically disabled character. You might call it the Rain Man Rule: any role that includes a physical or mental malady trumps one that does not. (By the same reasoning, some will proclaim the certainty of Julianne Moore winning Best Actress for Still Alice.) And sure, passing yourself off as Stephen Hawking from his fully able youth to his current immobility is an acting showcase. But Redmayne manages this with dignified humanity rather than pandering. It is not, as Jon Lovitz would say, ACTING! Felicity Jones also shines as Hawking’s devoted wife. As their relationship endures his physical deterioration, and both of them must decide what is best for their future, she conveys the tolls of selflessness and the heartbreaking limits of fidelity. 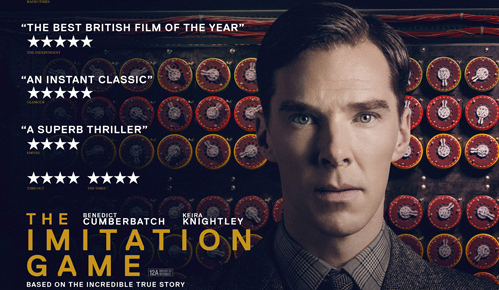 Bottom line: As great a story as The Imitation Game, but a little more creative in the telling. In a nutshell: A distinguished academic and her family deal with her diagnosis of early-onset Alzheimer’s disease. Again, we have an opportunity for ACTING! that is wisely resisted. Julianne Moore’s performance as linguistics professor Alice Howland never even flirts with melodrama. True to the analytical nature of her character, she copes with the progression of early-onset Alzheimer’s with a series of rational measures designed to maximize her independence and prevent her degradation. Moore plays this stoicism beautifully, especially during a scene in which Alice finds herself unable to locate the bathroom in a familiar beach house. Her alarmed posture and contorted expression upon being discovered by husband Alec Baldwin is unforgettable. Quality of life is an issue that Still Alice explores but leaves to its audience to resolve. At what point, if any, do we cease to exist as ourselves? What are our responsibilies as sufferers and caregivers? The characters in this film vary in their levels of selflessness and maturity, yet everyone strives to behave humanely. Kristen Stewart provides a counterpoint to the family’s traditional career aspirations as the youngest daughter trying to make it as an actress in California. Solidly in touch with her own emotions, she is the only one who asks Alice what it feels like to be in the grips of progressive dementia. It’s a devastating question: what sacrifices are we willing and able to make for loved ones who can never reciprocate, who no longer seem to be themselves? Perhaps it’s not the sort of question we’d like to be asked at the movies. 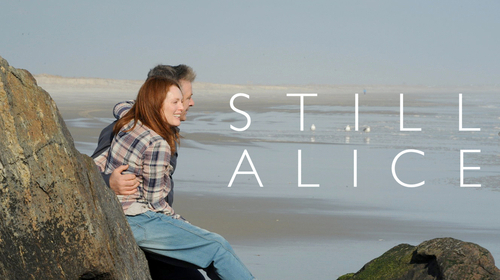 Still Alice asks it anyway yet manages to be an entertaining and captivating film. Bottom line: Maybe not the best first-date movie. But great for the thousandth one. In a nutshell: An aspiring jazz drummer endures the merciless mentorship of his uncompromising instructor. The siren song of artistic perfection. 2011 Best Picture nominee Black Swan satirized it with the memorable tale of a ballet dancer driven to madness. 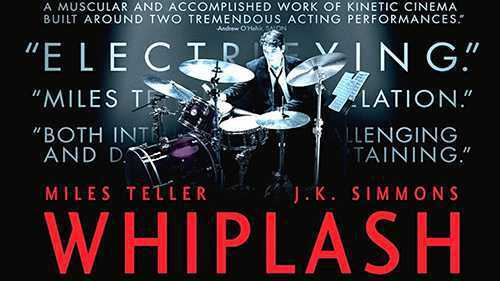 Whiplash explores similar territory through the struggle of young jazz musicians under a tyrannical director. Miles Teller, his fresh face evoking the earnestness of a teenage John Cusak, sweats and bleeds as drummer Andrew Neiman, a freshman at a prestigious NYC music college. Like Natalie Portman’s obsessive ballet prodigy, Neiman is consumed with becoming the very best at his craft, regardless of the physical and psychological cost. But whereas Black Swan’s ballet demons were internal, Whiplash torments its protagonist with a flesh-and-blood manifestation: the sadistic conductor Terrence Fletcher, portrayed by J.K. Simmons. Simmons is marvelously intimidating in the role. An explosive anger simmers beneath the surface like the veins that throb at the temples of his shaved head. He is sociopathically devoid of empathy. He demands impossibly fine and possibly nonexistent gradations of tempo. Yet his totally self-absorbed adherence to stratospheric standards makes his approval irresistible to the likeminded Neiman. It’s a marriage made in hell, with both parties bringing out the worst in each other. However, when a talented artist is hellbent on becoming the best, audiences are the beneficiaries. As Neiman undercuts Fletcher’s devious plan to humiliate him and effectively hijacks the conductor’s baton, the explosive result is mesmerizing. Bottom line: Jazz fanaticism ad absurdum. Destructive to practitioners, delightful for observers. In a nutshell: As sustainable human habitation of Earth is threatened, a team of astronauts searches for deep-space alternatives. Much of Interstellar is Earth-bound, with former astronaut Matthew McConaughey and his family enduring a dust bowl drought that plagues their farm and threatens the future habitability of the planet. This first half of the film establishes the humanity of its characters and is highlighted by the outstanding performance of Mackenzie Foy as his 10-year old daughter, Murphy. Murphy is bright and inquisitive, adores her father, and is troubled by inexplicable phenomena in her bedroom that she attributes to ghosts. When McConaughey is chosen for a lengthy mission to explore deep space for future habitation, a journey from which he may never return, she cannot overcome a deep senses of personal betrayal. Putting theoretical astrophysics into action, Interstellar eventually blasts off and sends its crew through a wormhole into a distant region of the universe. This is where director Christopher Nolan is in his element, having previously bent audiences’ minds with the warping of time in Memento and Inception. With its assortment of A-list stars and impressive visual effects, viewers can be forgiven for expecting a lightweight action romp like last year’s Gravity, but Interstellar is closer in spirit to the philosophical introspection of Stanley Kubrick’s 2001. A wonderfully bizarre sequence in which McConaughey navigates slices of time within an extra-dimensional structure is a worthy heir to Kubrick’s vision. The best science fiction is not so much about the frontiers of technology but rather a probing of our humanity. 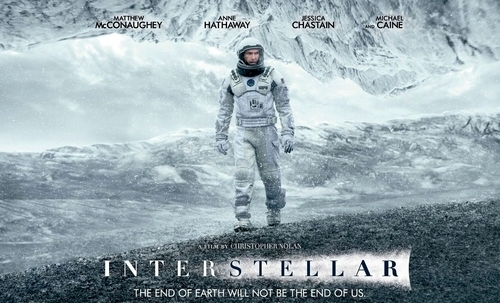 Interstellar delivers a genuinely moving resolution that affirms familial bonds and the human spirit. A shame that it was overlooked for Best Picture when the inferior Gravity was not. Bottom line: Gravity with brains. In a nutshell: A woman must convince her coworkers to sacrifice an anticipated bonus so that she may remain employed. The premise of Two Days, One Night is implausible. A small manufacturer of solar panels employs seventeen workers on its shop floor. They have been able to cover the short-term absence of Sandra (Marion Cotillard) by adding some overtime shifts, and the owner has realized that she is therefore dispensable. He forces his employees to choose between individual bonuses or allowing Sandra to return as the seventeenth employee. It is up to Sandra to convince them to sacrifice the bonus. But the plausibility of the premise is beside the point. Little more than a series of serious conversations, Two Days, One Night is a metaphorical nightmare. How would we fare if we had to justify our existence by requiring others to make sacrifices on our behalf? What if, like Sandra, we were already struggling with discouraging questions of self-worth? What kind of hell is it to have to prove to everyone that you matter as much as anyone else? 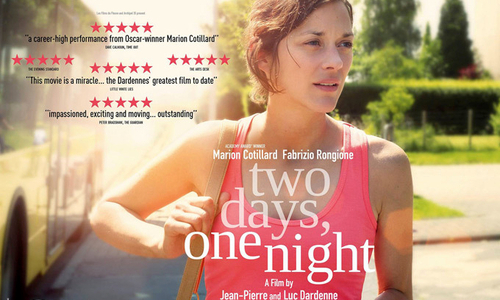 Marion Cotillard brilliantly navigates this emotional minefield, reluctantly exposing her vulnerability before each of her peers while fighting an overwhelming urge to give up the fight. It is a harrowing look at how we regard and value one another, one that demands that we consider what truly matters and what does not. Bottom line: Existential crisis as instructive cinema, if you like that kind of thing. In a nutshell: The freedom to march across an Alabama bridge becomes the focus of civil rights protesters under the leadership of Martin Luther King. 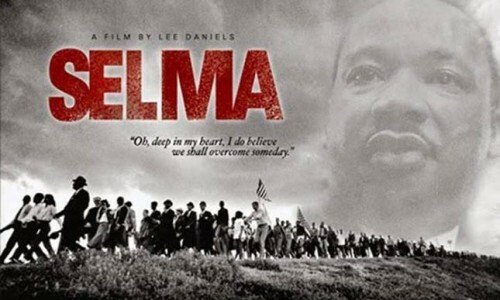 Selma has been criticized for taking artistic license with the facts surrounding the interaction between Lyndon Johnson and Martin Luther King, but it is, from the outset, a very stylized film. When we see Johnson and King in profile with nothing but a white Oval Office wall and a portrait of George Washington between them, we are being told a story through cinematography. Likewise when we first see a disenfranchised voter portrayed by Oprah Winfrey from a high angle framed through the railings of a staircase. Ditto for the fuzzy silhouettes of protesters clubbed on a foggy night. Putting questions of pure historical accuracy aside, Selma is a beautiful movie, a dark yet inspiring tale conveyed through indelible images. Should Ava DuVernay have been nominated for Best Director? I would say she is as deserving of the accolade as any of those who did get nominated, if not more so, but you could make just as strong an argument for Unbroken director Angelina Jolie. A greater snub is nominating Bradley Cooper and Steve Carell for Best Actor at the expense of ignoring David Oyelowo’s convincing portrait of MLK. Oyelowo sounds like King the man, not just King the orator. He is portrayed not as a legendary hero but instead as an ordinary yet courageous and indefatigable citizen of deep conviction. That perspective is reflected in the depiction of every character that peacefully defies the racist status quo. I give the Making Minutes Matter cameo of the year to septuagenarian actor Henry G. Sanders as Cager Lee, grandfather of murdered protester Jimmie Lee Jackson. His heartbreaking interaction with Oyelowo at the city morgue is one of the greatest moments among all of these films. Bottom line: The Imitation Game and The Theory of Everything take note: this is how you transform history into art. In a nutshell: A washed-up star of a superhero film franchise struggles to maintain his sanity as he hatches a turbulent vanity project on Broadway. Birdman is a wild ride, one that is not intended to be taken literally, as indicated by lead actor Michael Keaton levitating in his underwear in the opening shot. Like a roller coaster, its speeds along its twists and turns without stopping, not even to cut to another shot. What might have been unforgivingly gimmicky under less talented direction instead serves the film well, the continuous take escalating tension as a faltering Broadway production nears opening night. Our minds reel along with that of Keaton’s Riggan Thompson, whose very soul seems to be riding on the success of his staging of a Raymond Carver short story. Pomposity of every sort is skewered along the way, no more so than in the character of egocentric actor Mike Shiner, brought to arrogant life by Edward Norton. Box office gold but interpersonal poison, Mike enrages Riggan with a diva’s contempt for everyone but himself. There is a great confrontation between the two backstage, both men poised with raised fists in the manner of nineteenth-century boxers, Mike clad only in a pair of Speedos. This sort of wackiness works because (Wes Anderson, are you listening?) even within the context of this strange film, it is laughably absurd. Like Whiplash, Birdman explores the question, “What price art?” But it also goes beyond that, wondering what, exactly, is valid as art, and pondering the extent to which audiences determine artistic value. Keaton is dryly funny as he wrangles with the whole mess, and we cannot help but root for his success. Bottom line: Insanity, thy name is theater. In a nutshell: The true story of a Word War II prison camp survivor. My wife and I turned to each other as the credits rolled at the conclusion of Unbroken with expressions of incredulity. How could this film not have been nominated for Best Picture? Good gravy, toss out Grand Budapest Hotel or American Sniper or Foxcatcher or Boyhood, or nominate a ninth film if you have to, but don’t ignore Unbroken. And why no Best Actor nomination for Jack O’Connell? His depiction of steely determination and suppressed anger as prisoner of war Louie Zamperini is masterful. Why no Best Supporting Actor nomination for Takamasa Ishihara, whose turn as frustrated camp commander Mutsuhiro Watanabe is surely more impressive than Ethan Hawke’s goofball dad in Boyhood. 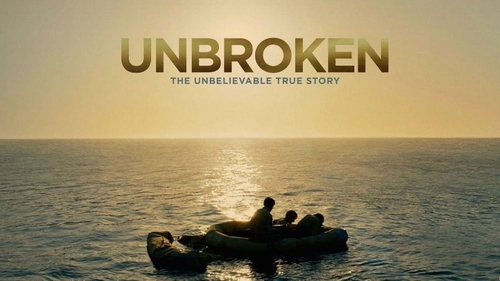 At least Unbroken was nominated for its cinematography, and rightfully so, because Zamperini’s war story is enhanced with artfully composed frames, colors and contrast. The script, by Joel and Ethan Coen with Richard LaGravenese and William Nicholson, is intelligent and avoids cliches. In fact, it also avoids profanities, a rarity for any film that deals with the harsh realities of war. It doesn’t need them, as the aforementioned attributes along with Angelina Jolie’s direction are far more explosive than any tiresome flurry of f-bombs. Bottom line: If you would like to feel patriotic and see a very good film at the same time, save your American Sniper money and see Unbroken. In a nutshell: An aspiring nun raised as an orphan discovers her heritage and questions her vocation. I know, I know. Isn’t just like someone who fancies himself a cinephile to laud above all others a somber, black-and-white, subtitled film shot in a retro 1.33 aspect ratio, set in 1960’s Poland, and saturated with post-war angst? Go ahead and take a moment to snort at my pretentiousness. But then consider spending a mere 82 minutes of your next quiet evening watching Ida on Netflix, and be sure to stream it in HD, as this film is as awesomely beautful as any monochromatic medium allows. Cinematographers Lukasz Zal and Ryszard Lenczewski employ a vast pallette of gray hues to stunning effect, creating the subtlest of gradations from pure black to blinding white. The rich grain lends a humane warmth amid this great contrast, and the static frame composition is artful and contemplative. It’s like watching a series of beautiful photographs come to life. Any still from Ida would be worthy of gallery display. And though this film would be worth watching solely for its visual impact, it achieves greatness by blending unsurpassed cinematography with captivating performances and a haunting narrative. Agata Trzebuchowska, in her film debut as the titular character, accomplishes the role with hypnotic subtlety. Agata Kulesza, as her world-weary aunt, conceals despair to devastating effect. This world, at once so beautiful and terrible, is ours to embrace, ignore, or reject. 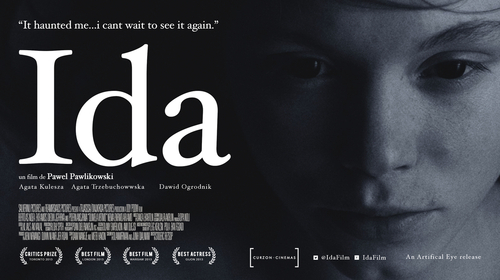 Ida is a fascinating look at the conclusions reached by two very different women.